Douglas Fir is the major species produced in the West, with more volume shipped than any other species, and its sterling performance history is recognized the world over. 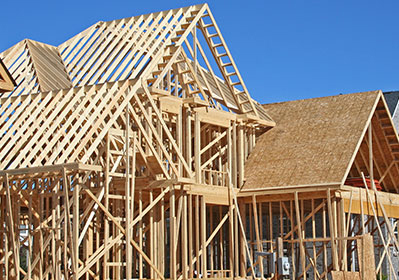 It is abundant and widely available in second and third-growth stands yielding products in multiple grade classifications: dimension and other framing products, engineered structural products such as MSR, finger-jointed, and glu-laminated products, high (clear) to low (economy) grade appearance products, and industrial and specialty grades. DF doors, manufactured from products in the Factory & Shop grade classification, are renowned for their beauty and performance. Douglas Fir’s light rosy color is set off by its remarkably straight and handsome grain pattern. Sapwood is white to pale yellow; heartwood is russet with high contrast between the springwood and summerwood. Idaho White Pine (also called Western White Pine) varies from nearly white to pale reddish brown and darkens with exposure. It is famous for its workability across or with the grain and is valued for joinery, foundry patterns, paneling, interior trim, furniture, boxes, and siding. It is the preferred species for stage flooring in theaters. Availability is limited. Douglas Fir (DF) is often the standard against which all other framing species are measured. Its strength combined with a superior strength-to-weight ratio, high specific gravity (for excellent nail and metal truss plate-holding capability), excellent dimensional stability (giving “green” DF products the ability to season well in service), the moderate decay resistance of its heartwood, and documented excellent performance record against strong forces resulting from winds, storms and earthquakes, have given Douglas Fir its reputation. It is also tight knotted and close-grained, adding the bonus of beauty to its structural capabilities. Color, grain pattern, knot size, and type are addressed in the rules for appearance grades. 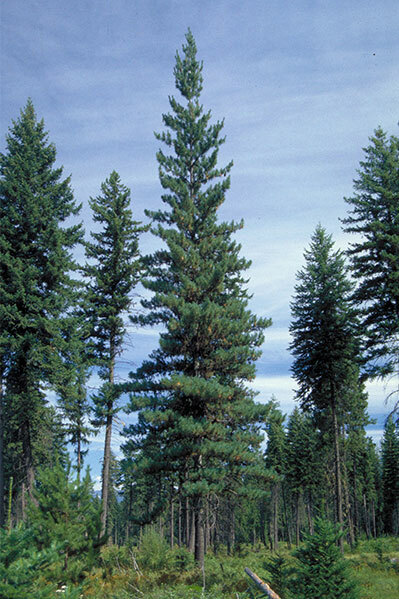 Sugar Pine is the tallest of the Western pines, bearing enormous cones that can be well over a foot long. It is moderately strong with a fairly uniform texture. Sapwood is creamy white, heartwood darkens to a light brown and is occasionally red-tinged. It has a faint odor, good dimensional stability, and is used for general joinery, foundry patterns, boxes and crates, paneling and shelving. Claymark Clear Select Pine is “Clear”! This is not a C&Better or D&Better, it’s simply Clear 4 sides. Outstanding tallies available – more than 75% 12’ and longer! VERSATEX Trimboard makes trim smarter. Their products are created from cellular PVC in the most state of the art manufacturing facility in the industry. Whether you’re using VERSATEX for trim, fascia, soffit, or a decorative exterior moulding piece, you will find their manufacturing process provides a product that features the real look and craftsmanship of a premium lumber without the moisture problems of wood. VERSATEX products include trimboards, sheet, cornerboards, T&G beaded profiles, soffit system, VERSAWRAP, moulding profiles as well as our innovative Stealth Trim System, all manufactured with the highest level of quality and featuring a limited lifetime warranty.